Increasing compliance doesn't get any easier with no-touch sensor activated hand hygiene dispensing. The GUD-1000 can be placed everywhere you need it to be. Mounts on most walls or can be placed on any table top, and can operate for one year on one set of D-cell batteries. 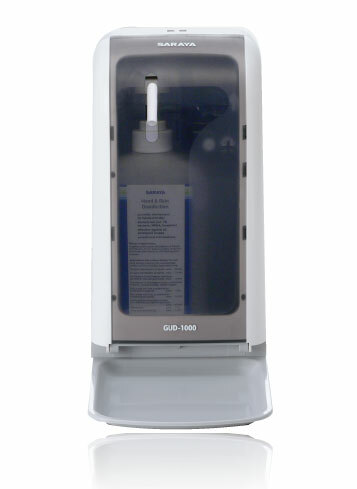 Dual sensors provide the most accurate function for simple and effective hand hygiene. • There is no need to touch the GUD-1000, eliminating cross-contamination. • Supports a variety of hand hygiene soaps, gels and disinfectants. • Install on a wall or a flat surface. The dispenser uses 4 D-cell batteries, so there is no need to set near an outlet.